If you’re from "the South," also known as the residential neighborhoods south of Paranaque, chances are you’ve chanced upon Molito Alabang. The strip mall is beloved by "Southerners" for its secret garden—a European-style open expanse of immaculately manicured grass, crisp fresh suburban air, choice dining establishments, and that special appeal that accompanies a carefully curated ambience. Molito is a habit among Southerners: it is a destination for dinner, drinks, activities, sunset watching, dates, fun, pop-up cinemas with foreign films, and so much more. 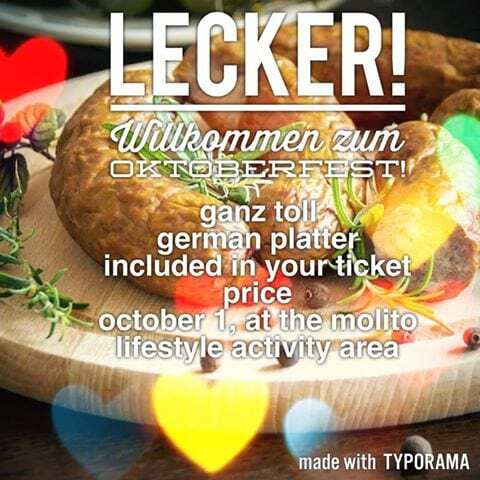 Molito continues this tradition with the very first Oktoberfest, taking place at the open air activity center, this September 30 and October 1. 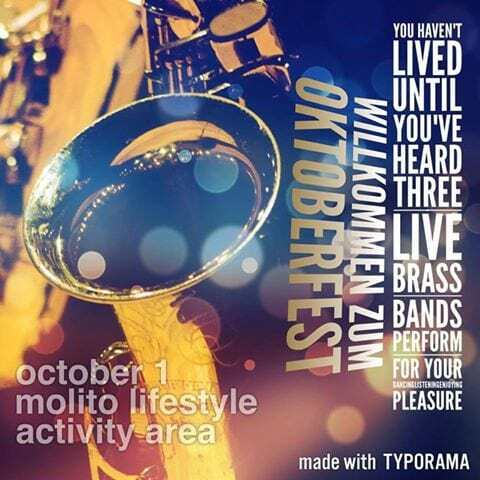 Far from being a simple excuse to drink, Molito’s Oktoberfest takes inspiration more from the Volksfest in Bavaria as opposed to local festivals. Molito is decidedly family friendly; it is not out of the ordinary to see birthday parties at the many establishments, whether bar or restaurant or deli. Children run around the Molito fountain, and fun activities are held every Sunday at the activity area of Molito 3. The premise of Molito is that everyone, regardless of age, has a reason to visit, and a reason to stay. The Oktoberfest, in spite of the beer that makes the festival famous, continues this family-friendly tradition. The event seeks to bring the community together in a weekend full of wholesome, engaging excitement. The Oktoberfest began in the early 19th century as the wedding between Crown Prince Ludwig and Princess Therese of Saxe-Hildburghausen. The prince widened the celebration by inviting the people of Munich to rejoice alongside him in front of the city gates, which to this day is known as the Theresienwiese, or simply the Wiesn, and remains as the venue of the Oktoberfest. The same feeling of all-inclusive rejoicing extends to this current day, suburban Oktoberfest. The food pavilion will offer more than just beer; as a matter of fact, the food that has made Molito famous will be in full effect during the Oktoberfest with favorite venues like Un Cuenca, Soil, Ralph’s Wines, Brera, and many more providing special Oktoberfest menus. Guests can expect everything from sumptuous raclette plates to hearty German fare to comforting lechon y paella to a modern take on organic farm-to-table dining to sweets and artisanal coffee. The Oktoberfest activities will bring a level of sophistication to the entertainment of the South. Finally, Southerners have a reason to stay put, for the party is coming to them. No need for them to brave South Superhighway to participate in events, no need for them to feel left out and far away anymore. Molito Alabang, a true lifestyle center, welcomes them with a very keen eye on their particular wants, needs, and tastes, and is committed to bringing them entertainment options that cater specifically to these lifestyles. As such, the entertainment at the Molito Oktoberfest has an urbane feel: no standard run-of-the-mill music here, folks. Two types of artists will grace the Oktoberfest stage: first, DJ’s that have spun in the hallowed halls of clubs in Berlin, Madrid, Milan, Rome, Hong Kong, and some of Manila’s best nightclubs. Secondly, live brass bands featuring some of the best talent that the Philippines has to offer. It has been said that Filipinos don’t dance—these artists will prove that theory wrong. 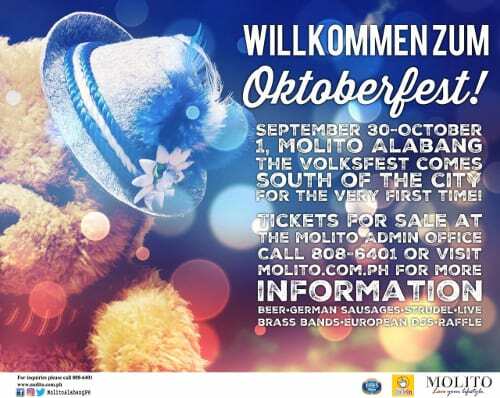 As committed as Molito is to enriching the lives of the neighborhoods to which it caters, and to remaining family-friendly in all of its endeavors, the Oktoberfest is sure to be a signature event that will be talked about for a long time to come. The air thrums with the possibilities of a raucous good time—right in your neighborhood, in your back yard, in the familiar gardens of Molito Alabang. 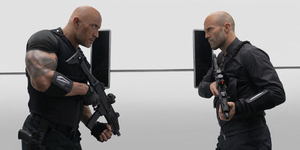 After all, Molito has that dual benefit: not only does it understand its market, but it is ready, willing, and able to provide exactly what its market needs. 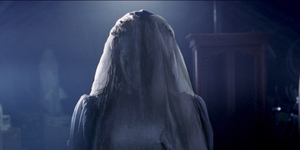 Get ready to be entertained, Southerners. The Oktoberfest is here. Tickets are available at the Molito Admin Office from Monday to Saturday, 8am to 8pm. 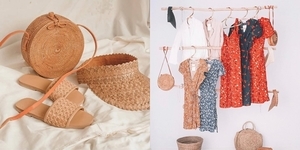 For more information, like us on Facebook or visit us at molito.com.ph.